TDK Corporation (Invensense division) has announced the worldwide availability of the SmartMotion® Platform encompassing 4 unique development kits. The SmartMotion development kits enable rapid evaluation and development of InvenSense MEMS sensor-based solutions. Built on a single board design, the platform enables fast system prototyping and parallel software development, resulting in faster deployment of end products to market. The SmartMotion platform is designed around Microchip’s G55MCU with built-in 512KB of Flash Memory and incorporates InvenSense’s market leading 6-axis, 7-axis, or 9-axis motion sensor solutions. Developers can evaluate and incorporate sensor functions like orientation, activity tracking, and gestures to develop state-of-the-art applications. The SmartMotion Platform integrates an on-board Embedded Debugger so external tools are not required to program or debug the G55 MCU, saving customers the cost of an external JTAG debugger. DK-20602– Development platform for InvenSense ICM-20602, a high performance 6-axis motion sensor that combines a 3-axis gyroscope and 3-axis accelerometer. DK-20648– Development platform for InvenSense ICM-20648, a high performance 6-axis motion sensor that combines a 3-axis gyroscope, 3-axis accelerometer, and Digital Motion ProcessorTM (DMPTM). DK-20789– Development platform for InvenSense ICM-20789, a high performance 7-axis motion sensor combining a 3-axis gyroscope, 3-axis accelerometer, and a high accuracy pressure sensor. DK-20948– Development platform for InvenSense ICM-20948, a high performance 9-axis motion sensor that combines a 3-axis gyroscope, 3-axis accelerometer, 3-axis compass, and a Digital Motion ProcessorTM(DMPTM). 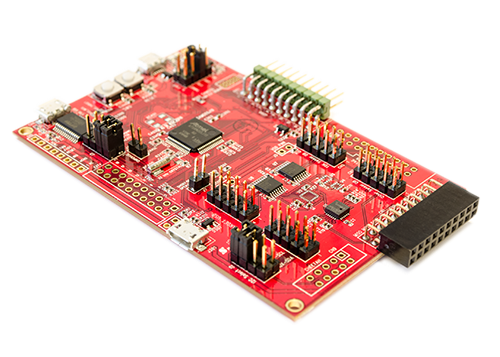 Each development kit includes InvenSense MotionLink, a GUI based development tool and embedded Motion Drivers (eMD) for InvenSense sensors. The MotionLink can be used to capture and visualize sensor data from the motion sensor. Sensor Fusion is supported in the eMD, consisting of a set of APIs to configure various aspects of the platform including sensor parameters such as full-scale range (FSR), output data rate (ODR), low-power or low-noise mode, and sensor interface to host (I2C and SPI). On-board Embedded Debugger so external tools are not required to program or debug the G55 MCU, saving customers the cost of buying an external JTAG debugger. SmartMotion platforms can be purchased at A$139 ea through Glyn. We are taking back orders now for delivery in a few weeks. Please email us at sales@glyn.com.au to reserve your platform variant.